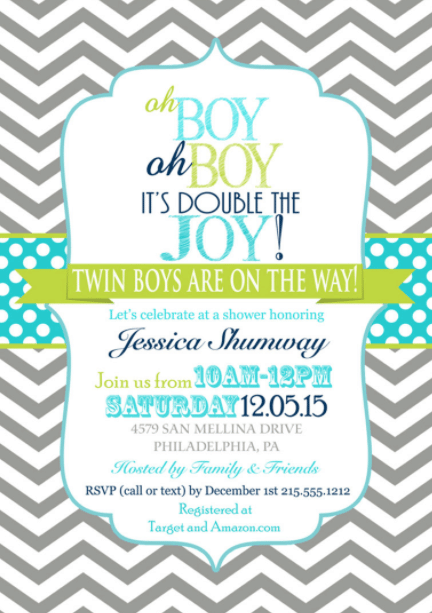 Are you looking for the best twins baby shower invites? 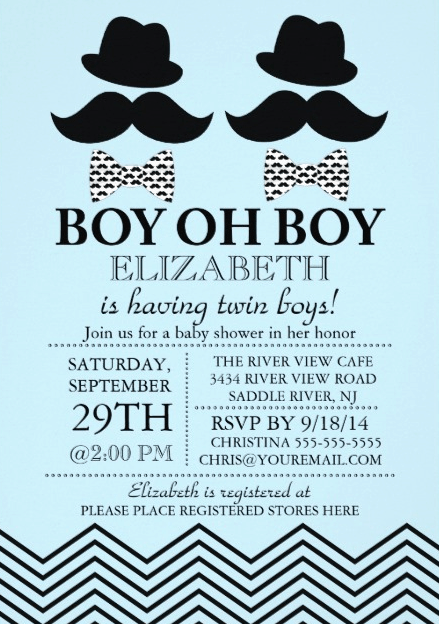 We have scoured the web and found some of the very best twins baby shower invites out there that will be sure to put a smile on every guest’s face and make a memorable momento for the expecting twins parents-to-be! 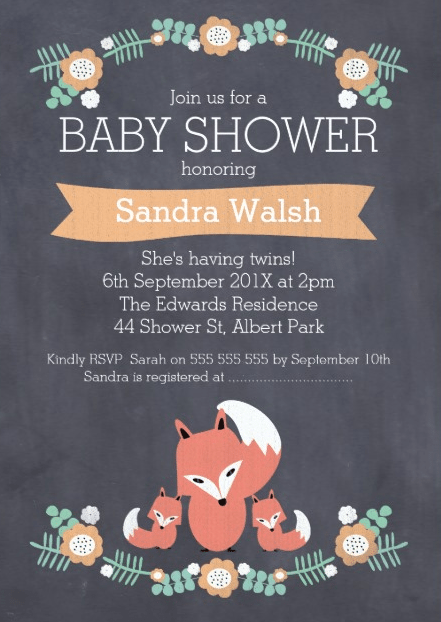 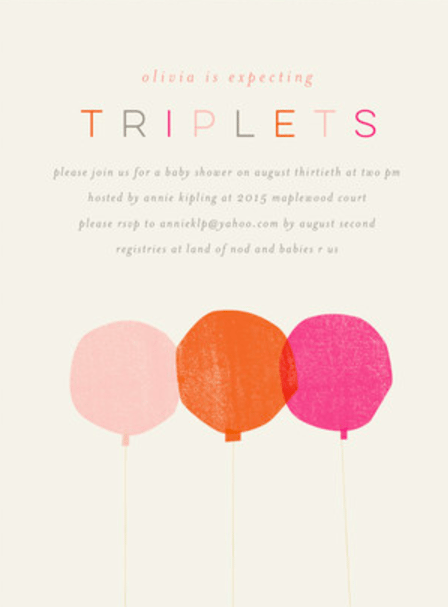 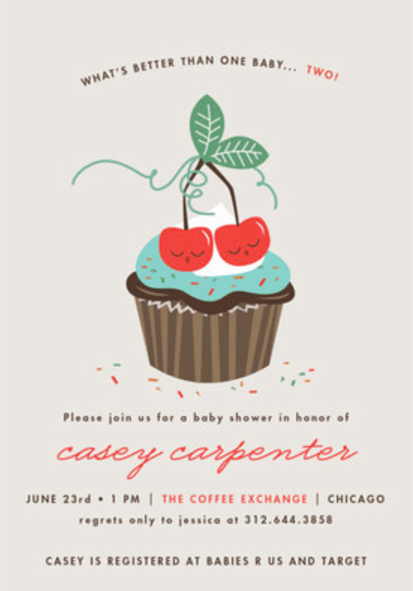 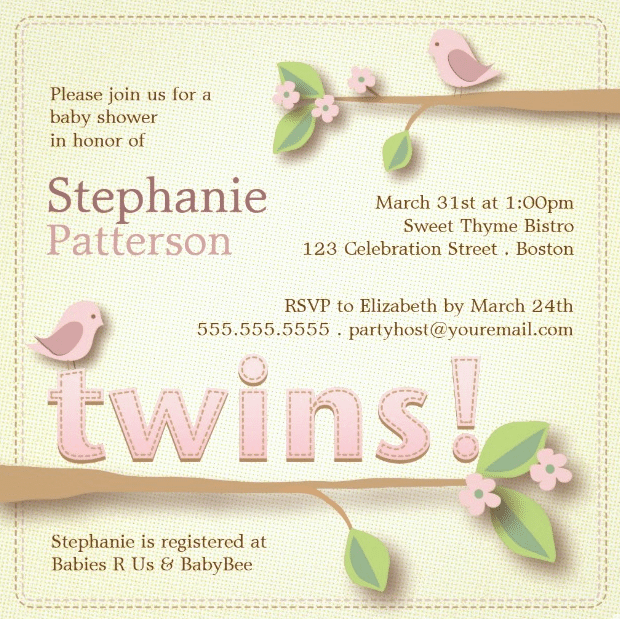 Tiny Prints has a fantastic selection of modern, classic, and fun twins baby shower invites. 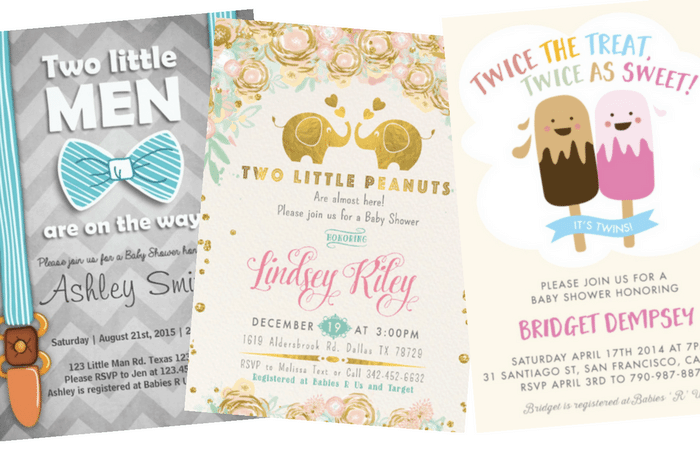 They offer several different paper choices, trim options, and paper colors, and up to 3 free samples! 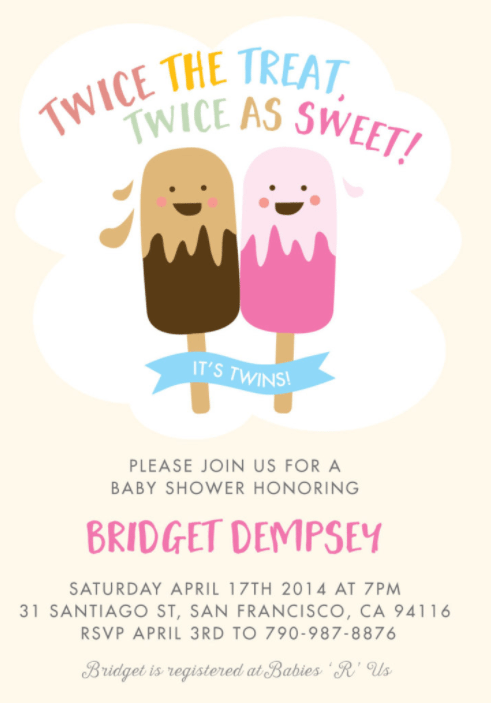 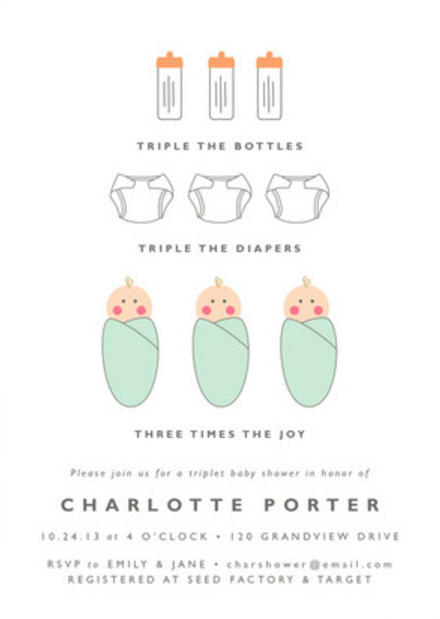 Here are a few of our favorite twins baby shower invites from Tiny Prints! 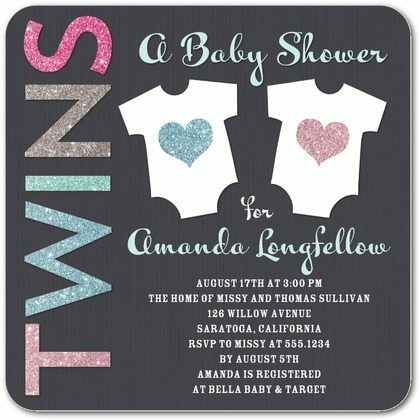 Be sure to check their website for the most up to date designs and offerings. 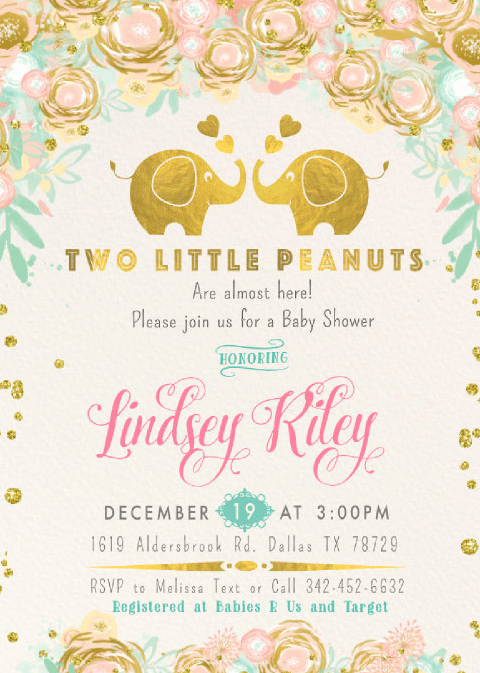 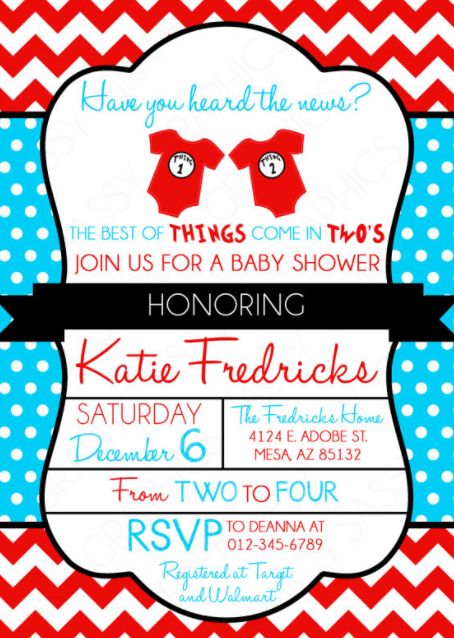 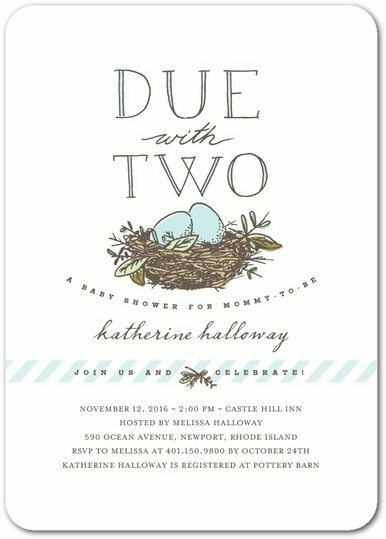 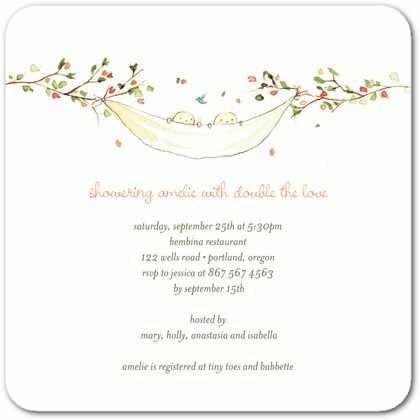 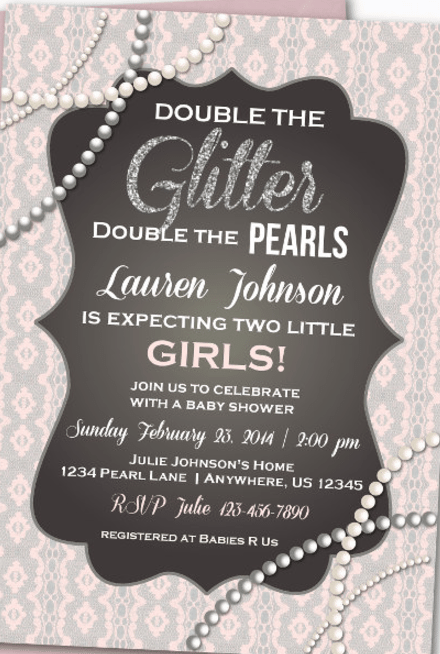 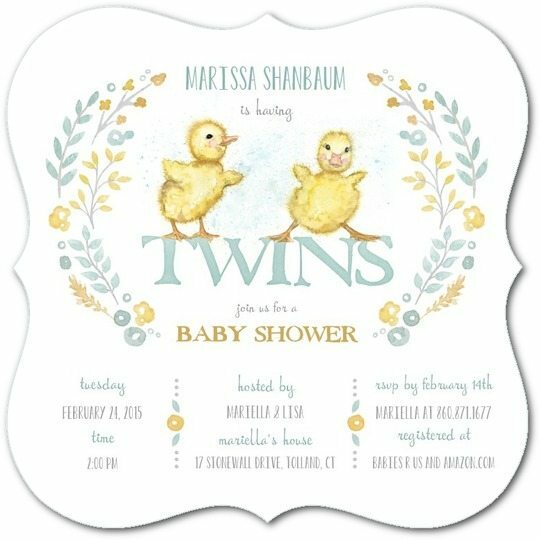 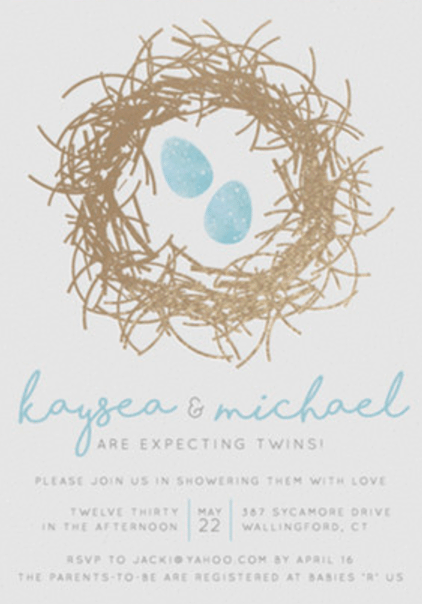 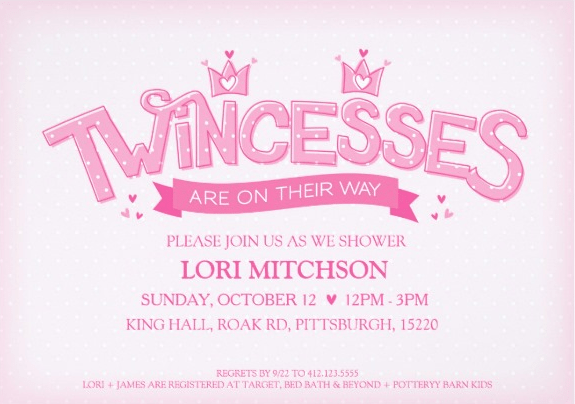 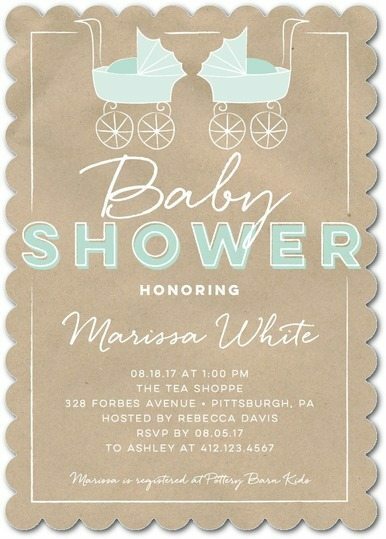 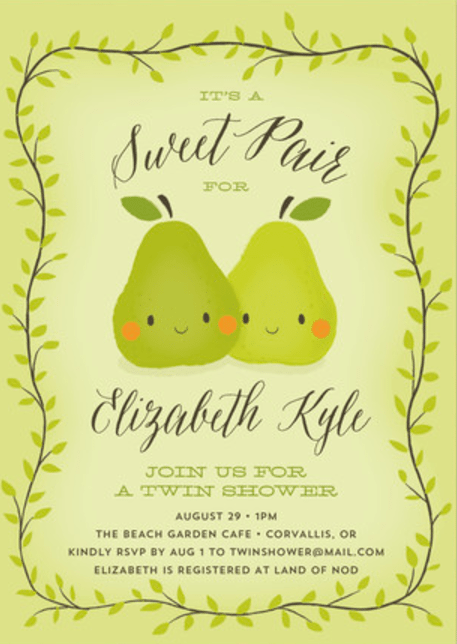 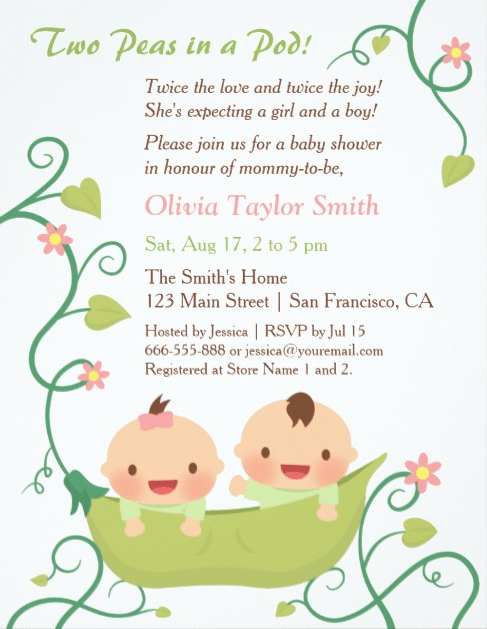 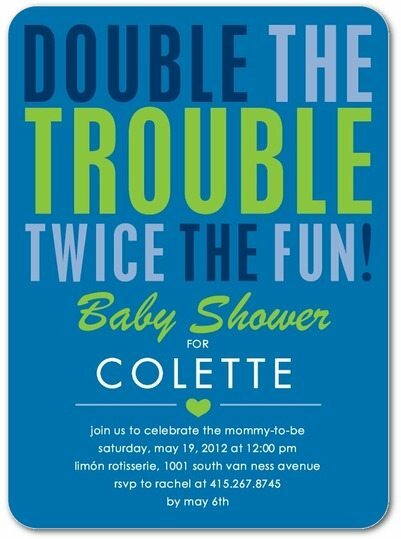 Zazzle’s selection of invitations for twins baby showers offer more traditional themes and designs, such as “Two Peas in a Pod”. 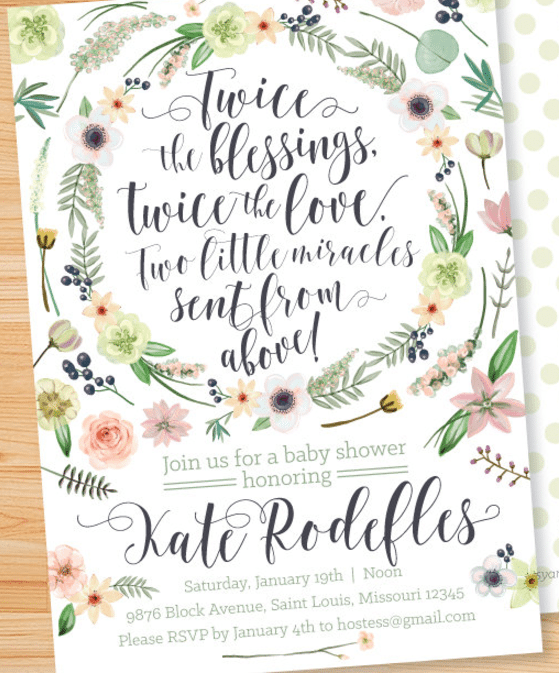 Zazzle designs are sourced from artists from all over the world, so ordering from Zazzle means you’re supporting an independent business, which is a nice bonus. 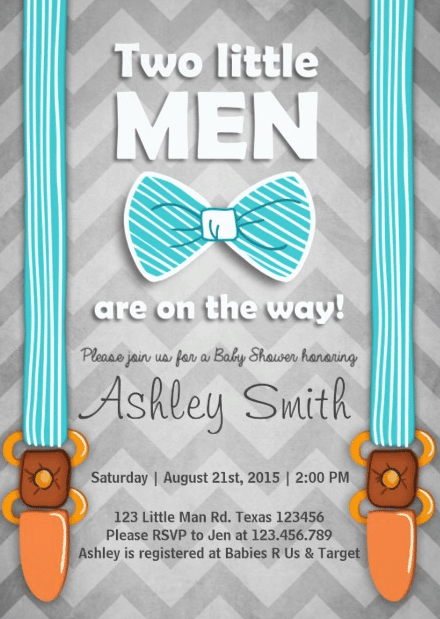 Be sure to check their site for new invitation designs. 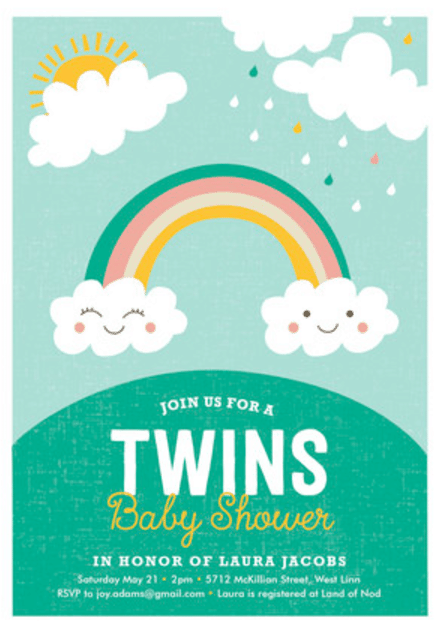 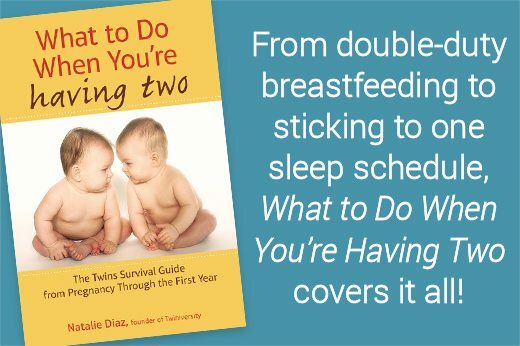 And don’t forget to check out all our great articles and resources for twins baby showers and expecting twins! 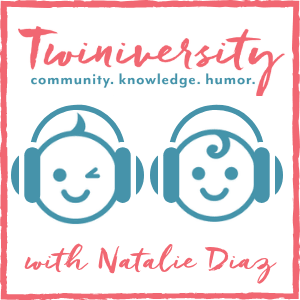 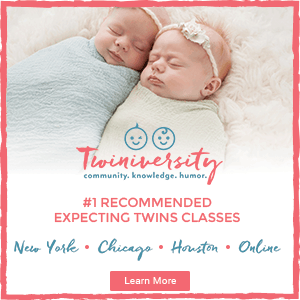 Twiniversity offers expecting twins classes gift certificates too, which make the PERFECT baby shower gift for couples expecting twins or more!